If you’re familiar with the name Bugatti, it’s most likely for the performance, super-limited, super-expensive cars. But the name is also a brand of cigars (plus plenty of other luxury items), with a trademark for use as a cigar brand filed in 2014 and issued after some legal wrangling in 2015. The Bugatti Cigars launched in 2015 as part of Integral Logistics, corporate parent of well-known accessory brands Lotus, Vertigo, Black Label, and Bugatti accessories. The brand originally launched with three lines: Ambassador, Signature, and Boss. Since, the Scuro blend has been added. The line is distributed by Meier & Dutch, a wholesaler associated with Cigars International and its various retail operations (which were acquired by STG in 2010). The line comes in four sizes: Churchill, Robusto, Toro, Torpedo. I smoked three Robustos (5 x 50) for this review. Scuro is made in the Dominican Republic (likely at the PDR factory with the other Bugatti lines, though that isn’t confirmed). 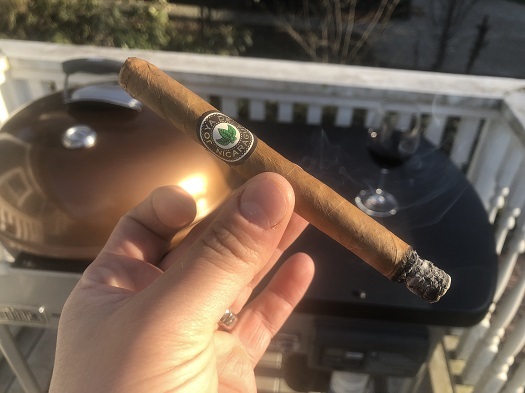 It features a dark, slightly mottled Connecticut Broadleaf maduro wrapper, Sumatra binder, and filler tobaccos from four countries: the Dominican Republic, Honduras, Nicaragua, and the United States. Each of the samples was a touch spongy, however none showed major ill-effects in terms of combustion. The draw was a bit on the tight side though not problematic, while the burn was even and ash a reasonably solid light gray. The multi-country blend was a surprisingly complex combination of black coffee, anisette cookies, raisin, wet rope, and charred oak. The medium-bodied cigar features a peppery finish. 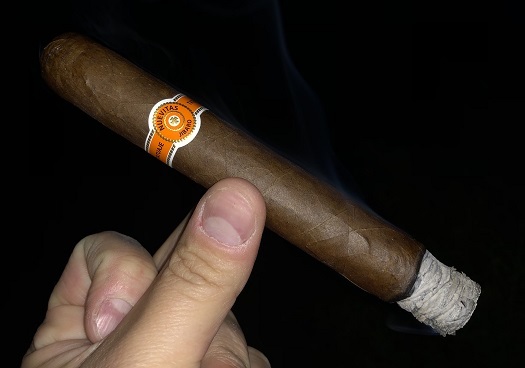 There’s not a whole lot of variation from start to finish but I’ll admit to be pleasantly surprised by a cigar that seems to be the most discount-oriented of the Bugatti line. While the “suggested price” may be closer to the other Bugatti lines ($8), in reality this isn’t a hard cigar to find online for around $3. At that price, it has quite a bit to offer, even if you may not feel like you are smoking the Bugatti supercar of cigars. All told, the Bugatti Scuro Robusto earns a rating of three and a half stogies out of five. In 2015, Gran Habano—the Florida-based operation of the Rico family—announced a few changes to its portfolio. Chief among them was the introduction of the George Rico S.T.K. Miami Zulu Zulu Mas Paz Edition, which is made in Miami, features design work by artist Mas Paz, and benefits an orphanage in Bogotá, Colombia. Gran Habano also added a few sizes, discontinued a vitola in the G.A.R. Red line, and changed some packaging. Five years before all these changes, in 2010, the Gran Reserva #3 line was introduced, showcasing well-aged tobaccos from 2008. The cigar was a success, and it spawned a few follow-ups: Gran Reserva #3 2009, Gran Reserva #5 2010, and Gran Reserva #5 2011. The latter is the latest and only Gran Reserva to be featured at the Gran Habano website (since the cigars are produced in limited quantities, presumably there’s no reason to market the previous Gran Reserva lines). It is offered in five formats: Corona Gorda (5.1 x 46), Gran Robusto (6 x 54), Imperial (6 x 60), Czar (6 x 66), and Grandioso (7 x 70). It goes without saying that Gran Reserva #5 2011 skews large and thick. Frankly, only two of the sizes even pique my interest: Corona Gorda and Gran Robusto. Today I’m reviewing the latter, after having smoked three samples. Like its brethren in the Gran Reserva #5 2011 line, the Gran Robusto sports a Nicaraguan wrapper, Nicaraguan binder, and filler tobaccos from Nicaragua and Costa Rica. It is made at Gran Habano’s GR Tabaqueras Unidas factory in Danlí, Honduras. After removing the beefy cigar from its cedar sleeve, I find a firm, dark specimen that’s dry, toothy, and marked only by thin veins. The densely packed foot showcases pre-light notes of green raisin and coffee grounds. The loosely applied band of red and gold slides effortlessly off the cigar. After clipping the head with a double-guillotine, I find a clear draw that imparts a little spice on the lips. There’s a lot of tape holding the cedar sleeve and foot ribbon together. If you’re patient enough to peel in all away, though, you can use the cedar to light the cigar—a time-honored tradition I’ve always found to be pleasant. Plus, since the Gran Robusto has a large ring gauge (54), the cedar is helpful in thoroughly establishing an even light from the get-go. Once underway, the flavors are medium- to full-bodied with notes of espresso, char, black pepper, cedar, and a bit of warm tobacco sweetness. Cocoa powder and creamy cashew help to add balance. After about an inch, the spice and char recede and chocolate and nuts become more prominent. The voluminous, cool smoke keeps the body (now decidedly medium) and spice at bay, making room for flavor. The taste is also not inhibited by the physical properties, which are admirable. The burn is straight, the white ash holds well, and the draw is smooth. The final third isn’t much different than the rest of the cigar, save for the introduction of some cayenne heat in the background. And that’s ultimately the biggest knock on this otherwise fine cigar: It tends to overstay its welcome. I don’t dislike the core flavors, but I’m also not sure the offer enough to warrant such a significant time commitment. That makes the Gran Reserva #5 2011 Gran Robusto a difficult cigar to score. But score it I must, and I’ve settled on a rating of three and a half stogies out of five. With sizes modeled after the Cohiba Behike, the Nat Cicco HBB Gold is a premium line from a brand that focuses on value-oriented cigars. 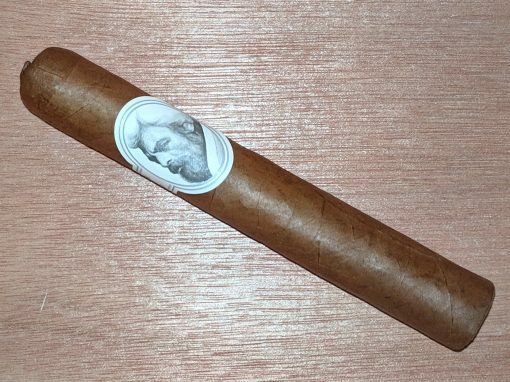 The Churchill (7.75 x 54) features an Ecuadorian Habano wrapper over Nicaraguan binder and filler tobaccos. It has notes of earth and leather, along with roasted coffee. 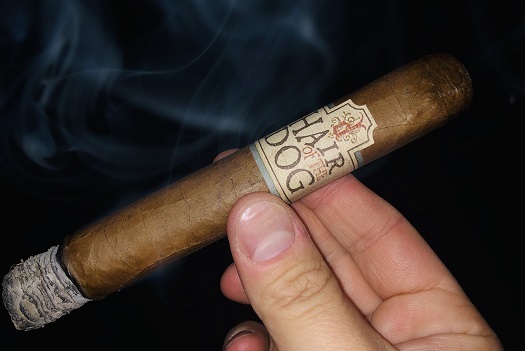 The full-bodied cigar lacks complexity but is well-constructed. While cigar companies are well-known for never missing an opportunity to commemorate an anniversary with a special cigar, not many companies can claim a milestone as old as 125 years. Gurkha, despite only being introduced in the U.S. in the mid-1990s, has a better claim than most. The company’s 2012 125th Anniversary series was meant to celebrate the first association of Gurkha’s name with cigars, as opposed to the anniversary of the cigar company itself. It is made at the Tabacos Don Leoncio/PDR Factory in Tamboril (many of Gurkha’s recent offerings are made at this Dominican factory). The cigar employs a dark, reddish-brown Brazilian Habano wrapper with some black discolorations but a consistent sheen. Beneath, it has an Ecuadorian binder and Nicaraguan and Dominican filler tobaccos. I smoked four of the Rothchild size (6 x 54) for this review. 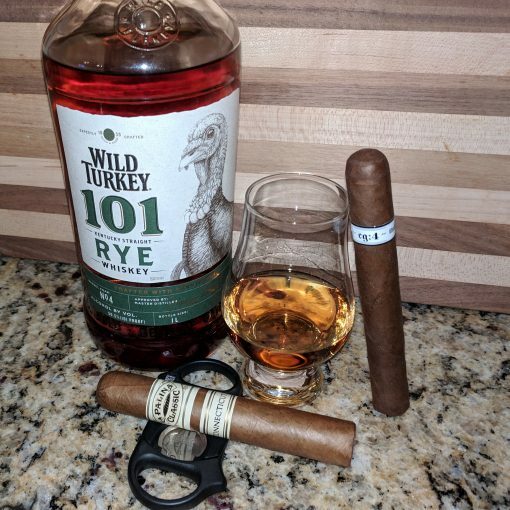 This vitola retails for around $10 but, since it has been on the market for a few years now, you’ll be able to find it for significantly less online if you shop around. The large toro features a complex mix of flavors: medium-roast coffee, toast, pine nuts, slight citrus, and clove. And while there are myriad flavors, the complexity is in the Rothchild’s depth, not its changes from start to finish (which are minimal). 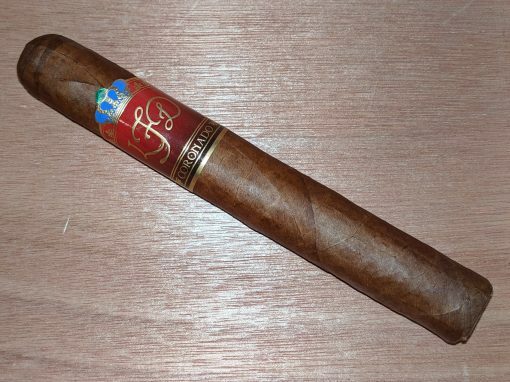 Complex, well-constructed, and (now) priced around $6-8, this cigar offers good value. That earns the Gurkha 125th Anniversary Rothchild a rating of four out of five stogies.